Hey there ghouls and gals! Are you ready for another Luana? 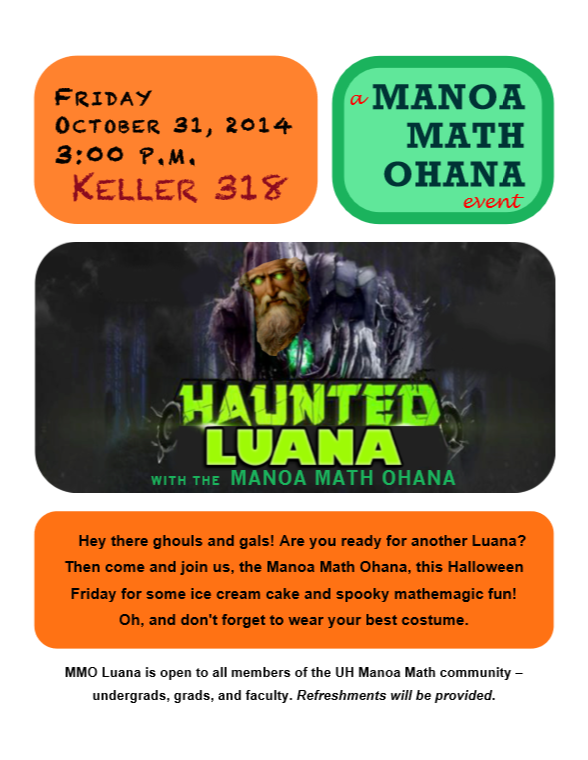 Then come and join us this Friday for some ice cream cake and spooky mathemagical fun! O, and don’t forget to wear a costume!